This exhibition presents a selection of thirty contact sheets made since 1976 by the photographers of Contact Press Images. As the world has now fully entered the digital age, it is doubtful that a show of this type will exist thirty years onward. Contact sheets—and indeed the very film that has been a staple of the photographic profession since the advent of 35mm cameras in the late 1920s—are fast disappearing, destined to become artifacts of photographic history along with tin plates, autochromes, and glass negatives. Structural forerunner to both the photo essay and the television news segment which succeeded it, contact sheets such as the ones shown here also encourage a meditation on what will be lost without them. For they are more than an editor’s tool, a presentation of sequential frames. They are in fact a cinema, a story. Providing a behind-the-scenes glimpse of unfolding events and a record of the photographer’s mental process, some record a wandering eye; others an eye “zeroing in.” Some are fluid in narrative, others—owing to the photographer’s alternating use of several cameras—disjointed. Most are black and white, some color. But whether shot in 35mm, in medium or panoramic format, all these contacts offer an increasingly rare commodity: truth—unvarnished, unmanipulated, and unrepeatable. 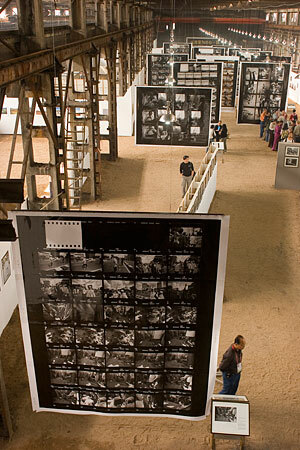 Meant to inform viewers about the history of the last three decades, this exhibit also showcases single images: one per contact sheet, plus an additional number of equally “iconic” images by photographers affiliated to the agency during its thirty-year history. These important images, mainly color work shot on slide film and for which no contact sheets exist, also contribute to our historical understanding of the period.